Our accumulators are easily adapted to your production needs. The accumulation capacity and change over speed are adjusted to correspond to the line performance to maximize your productivity. The accumulator is not working because of an obsolete PLC, drive or motor. Don't keep your customers waiting and let your reputation suffer. Have your process requirements changed; do you need more capacity in the equipment? Accumulator MHE DB 1200LV is an essential part of the continuous insulation process of MV cables. 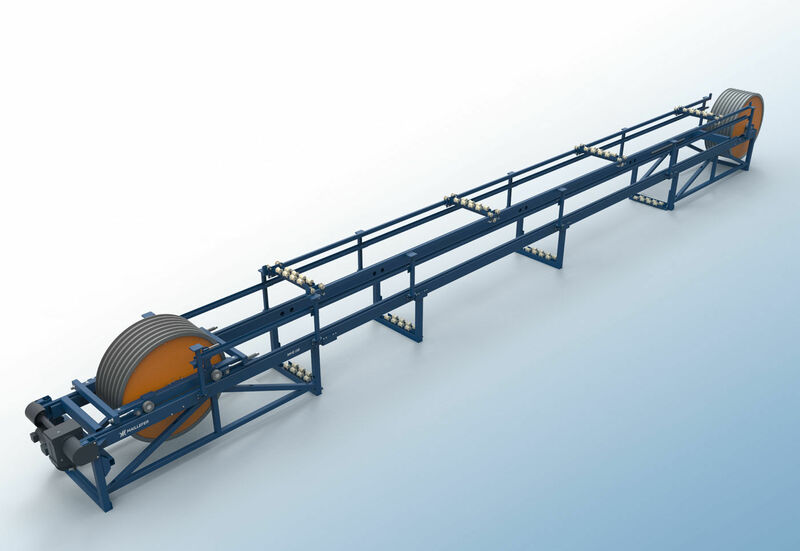 The accumulator has two horizontal beams along which the carriage with a movable set of aluminium wheels runs. Stationary wheels are mounted at the front end. Rollers along the beams support the upper and lower cable parts. The carriage is pulled by chains from an AC motor, and speed-controlled to give a constant tension. Tension is fixed by the adjustable dancer arm weight and the weight of the cable. 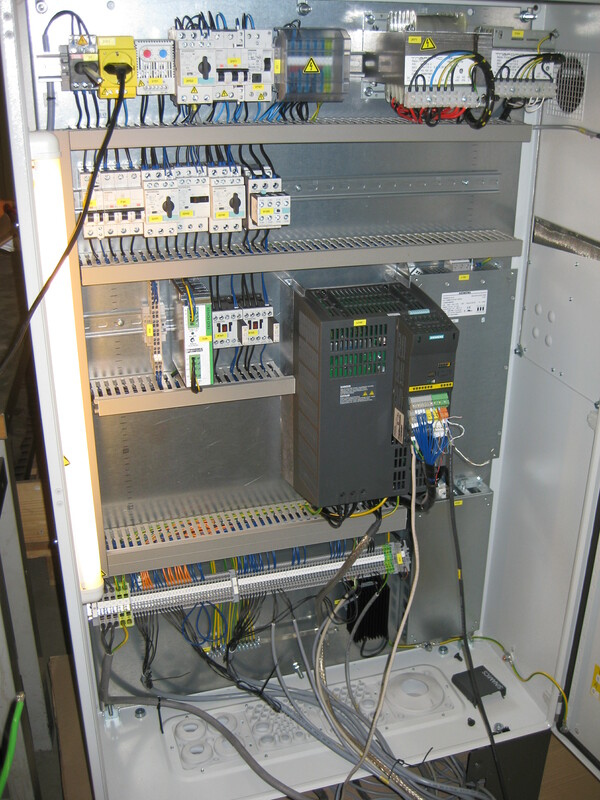 The accumulator drive cabinet and control panels are placed on the accumulator, and the control system is integrated into the line control plc. Exact values depend on the assembly.